Dr. Jeanine Haddad began her career with Care Center as a Technician Assistant. 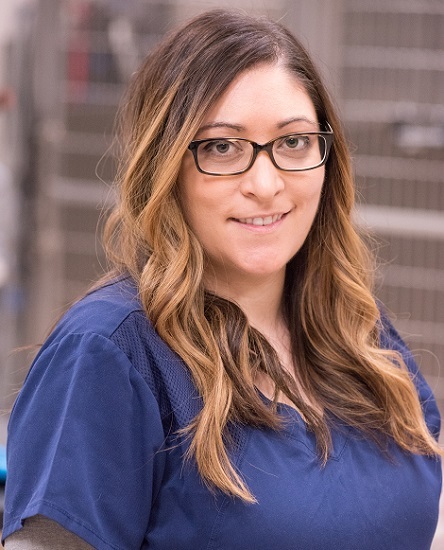 She went on to receive her Doctorate in Veterinary Medicine from The Ohio State University in 2017, following a Bachelor of Science from University of Cincinnati. Dr. Haddad has always had a love and desire to help animals. Her passion for science, interesting patient cases, and a fast-paced environment have made her a good fit for emergency medicine. Dr. Haddad enjoys attending music festivals, traveling, and art.